“We are all well rested and ready to begin the new day. Our first stop is Mt. Tabor where Jesus transfigured in front of Peter, James, and John. 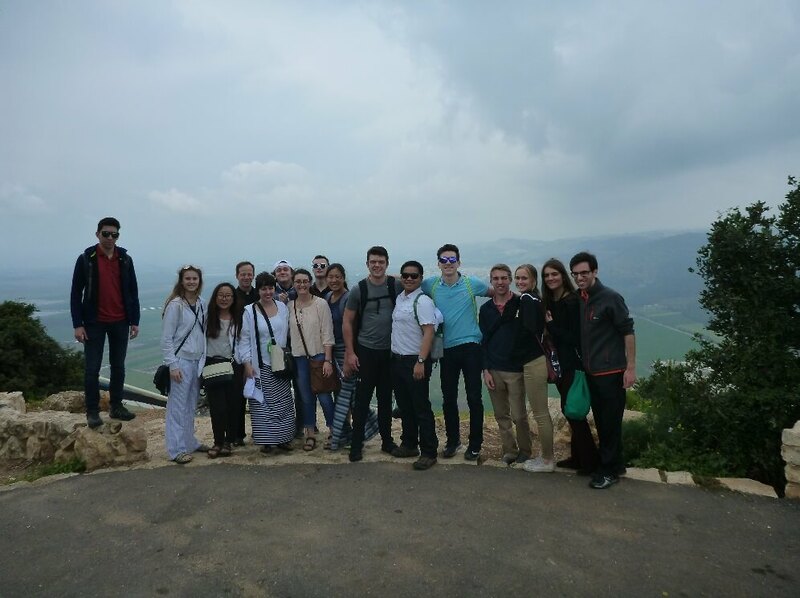 Some of the students were anxious during the ride up the mountain along a narrow and winding road. For others, it was exhilarating. 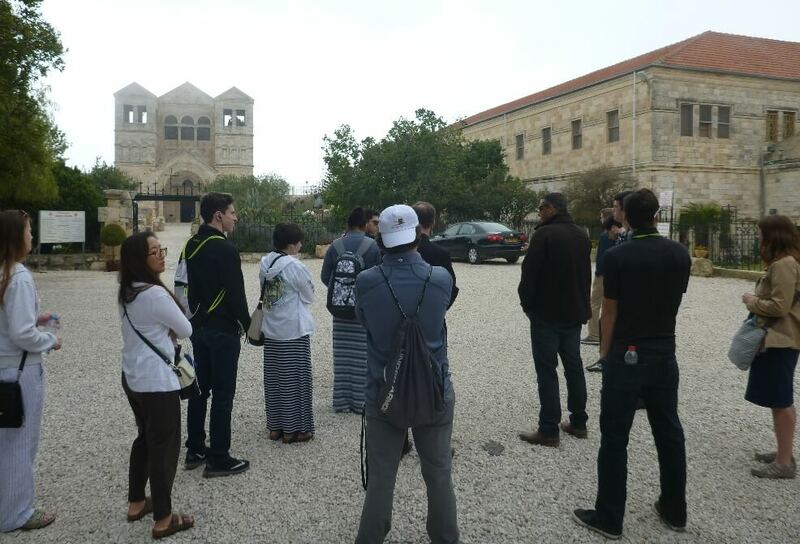 Upon arrival, we gathered in front of the Transfiguration Church for a brief history lesson from our tour guide followed by a Gospel reflection by Fr. Daniel. From Christ’s glorious Transfiguration, to the tribulations of the Crusades, to its current use as a Franciscan monastery, this place is rich in history. 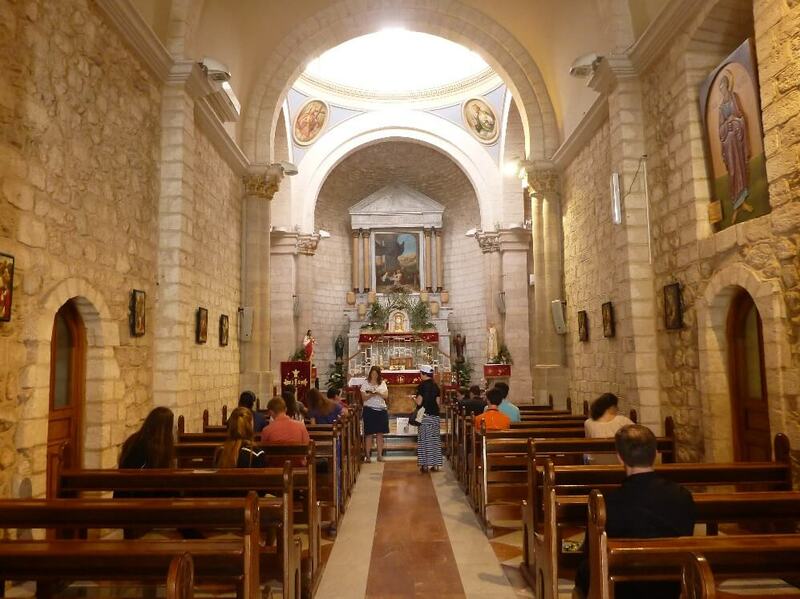 As we were free to explore the church and surrounding area, some students went to confession, others prayed silently, and everyone was acutely aware that we were in a place with a deep connection to Christ and the Church. The students wanted to explore every corner, touch every rock, and feel every tree. Christ and His apostles were here, Moses and Elijah appeared here, and now, the Everest Mountaineers were here, too. The boys had an insatiable desire to climb on every structure and experience every vantage point. While it may seem that they had too much energy, a couple of them told me that they were trying to see everything that Christ may have seen, and touch everything that Christ may have touched. They even convinced Fr. Daniel and me to climb on a wall with them. When we stand on high and look straight ahead, we see nothing but clouds. I imagine the apostles had a similar sight just before the Transfiguration. We then enjoyed a leisurely stroll down the mountain. For many students, Mt. Tabor was the high point of the day. After leaving Mt. Tabor, we arrived at Cana. The Wedding Church commemorates Jesus’ first miracle. Jill led a gospel reflection, and we all prayed in silence. Each of us offered our most challenging petitions and placed our hope in Jesus to do the impossible. We then walked through some of the ancient hallways and saw some of the ruins where many believe the original Wedding at Cana occurred. 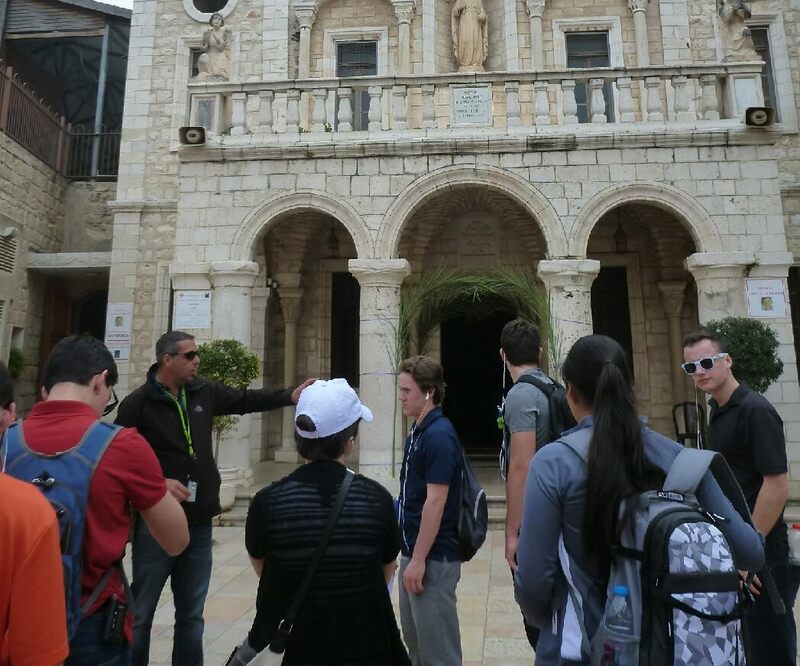 Our students seem to appreciate the beauty of the facades at each holy site, but they are clearly more interested in the simple, ancient artifacts that connect them to the past. 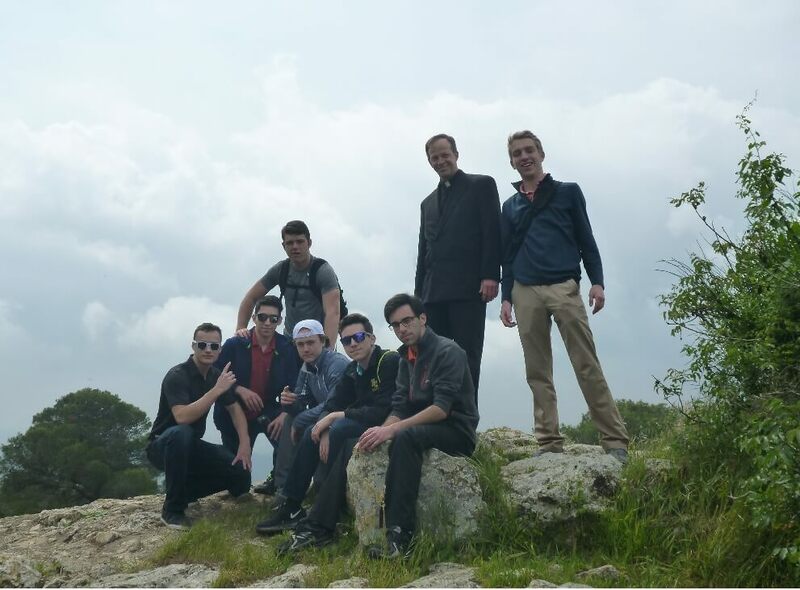 After a hearty lunch back in Nazareth, we walked to the Basilica of the Annunciation. This is the largest Basilica in Israel. 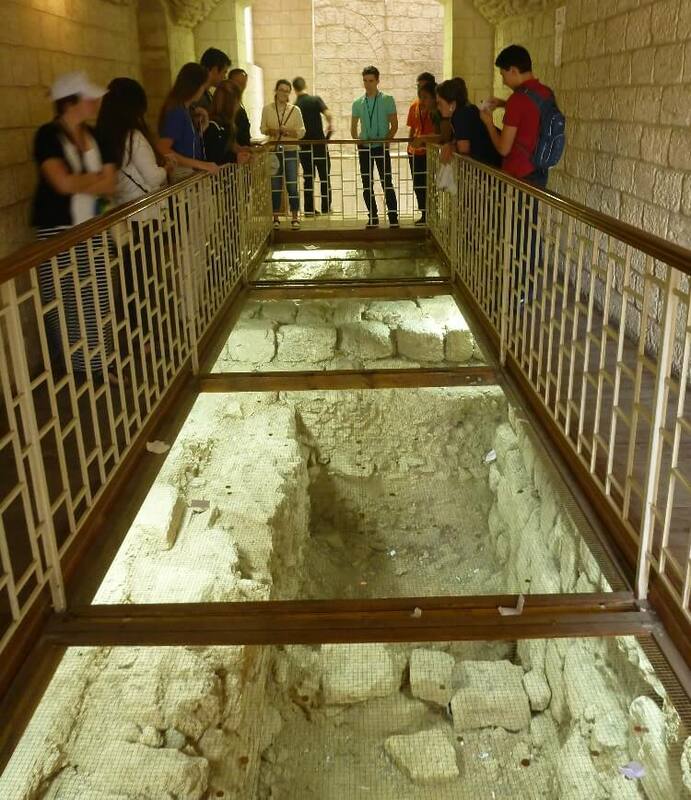 Our tour guide is also an archaeologist and explained that physical evidence and a critical reading of the Bible indicates that the angel Gabriel appeared to Mary in the same location as the Basilica. 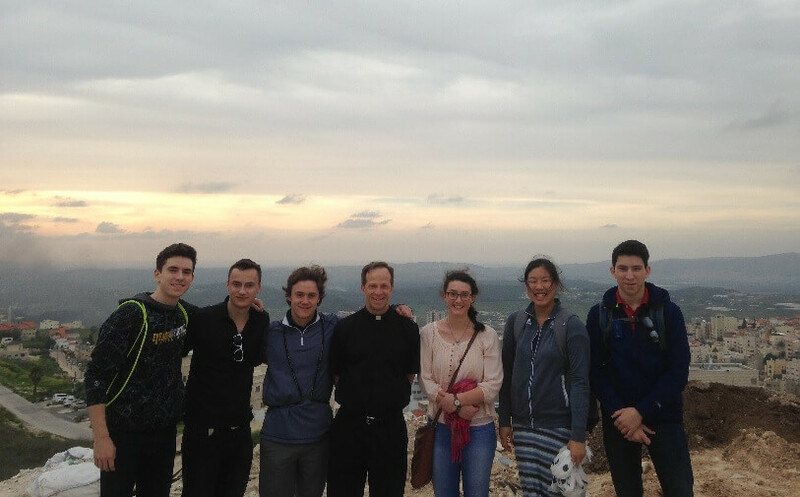 We visited St. Joseph’s chapel and saw more ruins that are likely the remains of the Holy Family’s neighborhood. The highlight of the visit was praying the Angelus in the same spot where the “the angel of the Lord declared unto Mary”. It was uniquely beautiful to see each student personally connecting with our Blessed Mother through the Rosary, writing in their journals, or silent prayer. 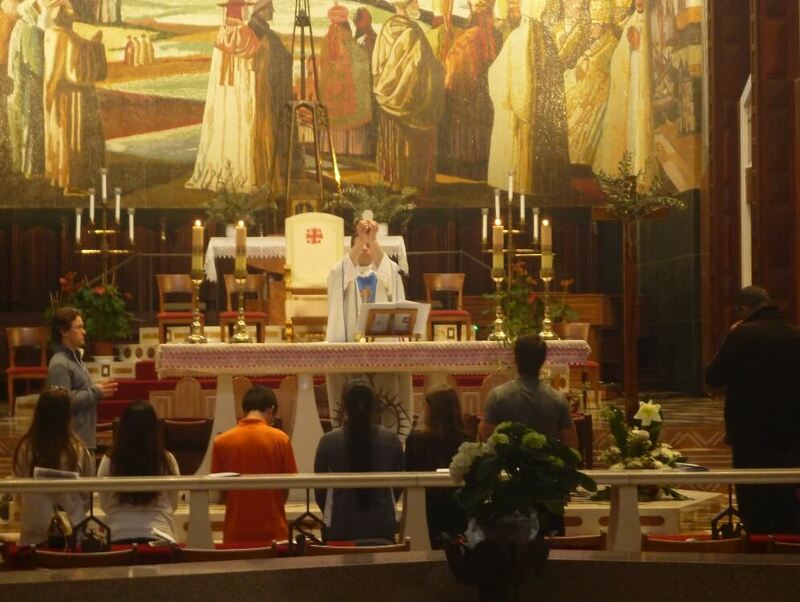 We were also incredibly blessed to have the chapel to ourselves for mass. 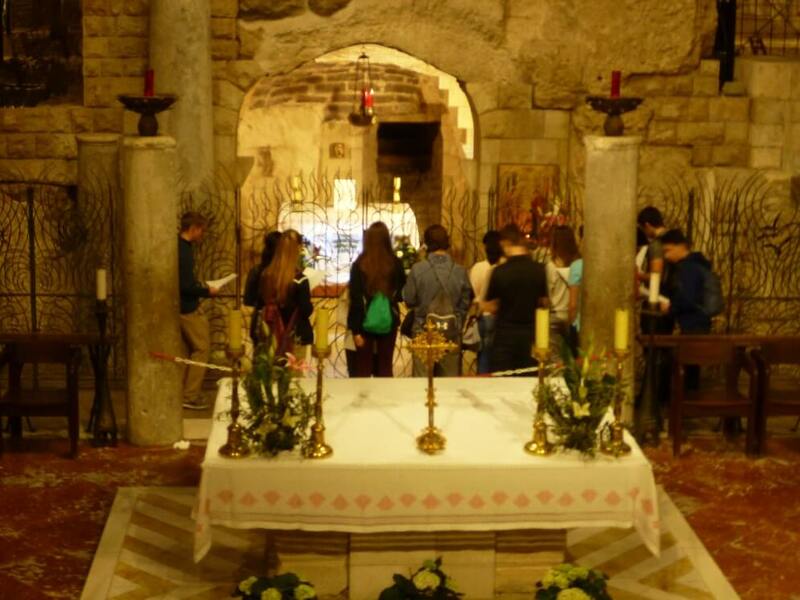 All of us were able to receive Jesus in the same spot where Mary had received Jesus. Afterwards, we walked along a modern, yet ancient path. In the first century, there was an aqueduct that brought water to the town of Nazareth. Today, the street is full of cars and power lines, yet it is easy to imagine and see Our Lady walking the same path each day to bring water back to Jesus and St. Joseph. 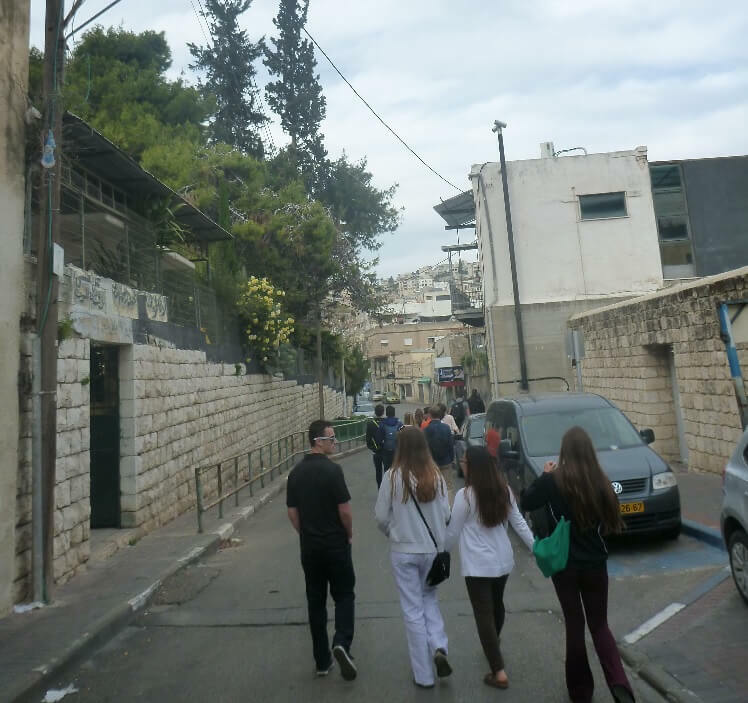 The water spring no longer works, but the site still stands strong in the middle of the hustle and bustle of 21st-century Nazareth. We arrived at our hotel with plenty of time to rest and relax before dinner. While some opted to stay in, Fr. 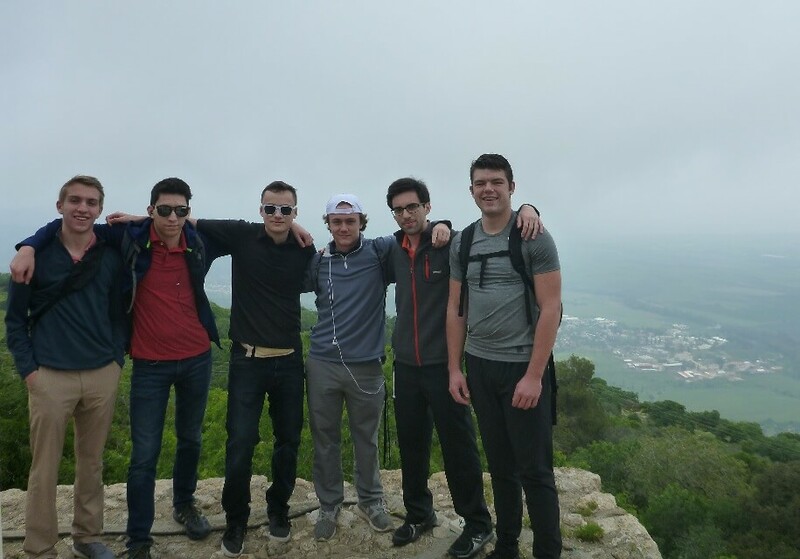 Daniel led a small group on an arduous, but invigorating, hike to the highest point in Nazareth. While our leg muscles burned and begged us to stop, we all just kept on marching. We were rewarded with a glorious view of the city. This was considered a light day, and we are all excited for tomorrow. We continue to pray for all of you back home. Thank you for your prayers and support in making this trip possible for all of us.